82. Yearbook of the most important held annually in Japon Bonsai Exhibition. 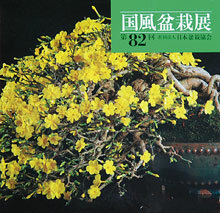 Over 280 pages color photos show many beautiful awarded bonsai.